This two-day course introduces experienced users to more advanced topics devoted to workflow automation with IDEAScript macros. 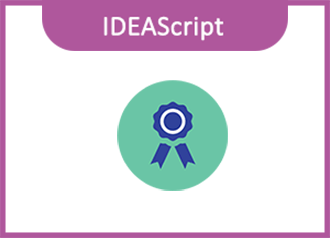 IDEAScript, the IDEA programming language behind IDEAScript macros, is similar to and compatible with Visual Basic for Applications, the macro language used in Excel®, PowerPoint®, Word®, Access®, and other Microsoft Office® applications. Prerequisites Working knowledge of IDEA. Familiarity with CI101 and CI102 course topics. Completion of CI101 and CI102 is recommended.